After an incredible theatrical run that began with a top-10 opening and continued for weeks with powerful stories of hearts being touched and lives being impacted, OCTOBER BABY is now available on DVD and Blu-ray. You can find the DVD or Blu-ray where you purchase movies. In addition, many Christian retailers will have pre-buy options. Check this page for those links. 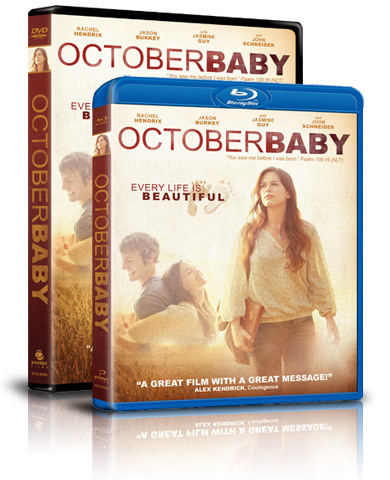 And check out these great Bonus Features on OCTOBER BABY.